Say "thank you" to the people who expressed sympathy for your loss. When you suffer the loss of a loved one or family member, you may long for normalcy or something to occupy your mind other than sad memories. Reading the cards and notes from friends who express their sympathy and extend condolences can bring you comfort in knowing there are people who care about you and who support you during a difficult time. Gratitude goes both ways, so spend time acknowledging your friends' kind gestures sending thank-you notes for sympathy cards, gifts, donations or other types of condolences. 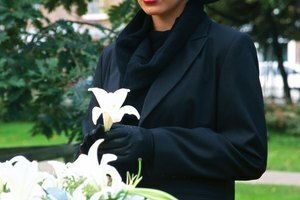 If the deceased was admired by many, you might receive so many sympathy notes that sitting down to write a handwritten response to each might seem like an overwhelming task. In this case, have simple, elegant thank-you notes engraved with a message, such as, "The Smith Family truly appreciates all the expressions of sympathy in the loss of our mother, Rose. Thank you for your prayers, condolences and friendship." A short message is sufficient and for many of them, all you need to do is sign your name. Of course, proper etiquette would never discourage you from sending a handwritten acknowledgement. 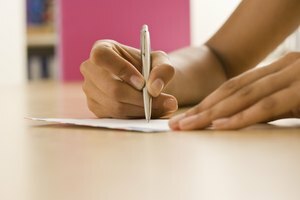 Whether you send a printed thank-you note with just your signature or a handwritten letter to personally express your gratitude might depend on the relationship. 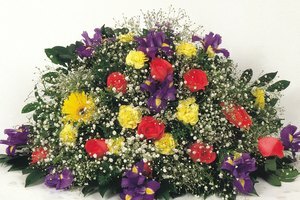 For example, if you receive a sympathy card and flowers from the deceased's best friend or your closest friend, write a few lines to say how much it means to you that your friend thought of you and your loved one. Real Simple: Should I Send Thank-You Notes for Sympathy Cards? Mayhew, Ruth. "What Is Proper Etiquette for Sympathy Acknowledgements?" Synonym, https://classroom.synonym.com/proper-etiquette-sympathy-acknowledgements-10488.html. Accessed 26 April 2019.